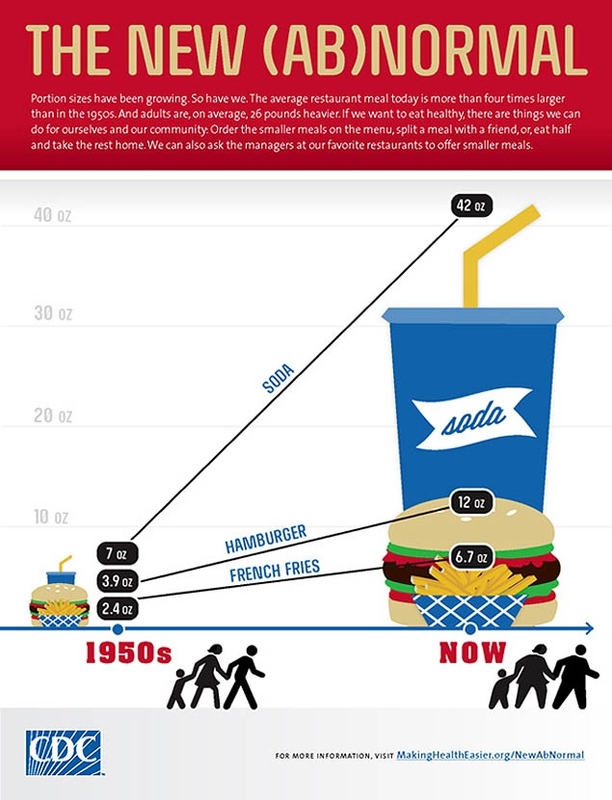 The size of food portions has increased, and as they’ve ballooned, beverage sizes have too. Shop carefully. Always check your drink’s nutrition fact label and pay special attention to the serving size of your beverage. If a product says it has 50 calories per serving, it’s important to know how many servings are in each can or bottle as many times it will actually be more than one. If you’re not careful, you could end up drinking 1.5 or even 2 servings and many more calories than you may have thought. Be especially careful of oversized cups and free-flowing soda fountains at fast food and convenience stores, which encourage you to drink more and more sugar. A super-sized drink can be 32 ounces or more. Filled with regular soda, that large drink has over 400 calories and more than 100 grams of sugar (or about 25 teaspoons of sugar). If the soda fountain is your only option, chose the smallest drink size available, use plenty of ice, and pick diet soda instead of regular. Better yet, order the largest cup size and fill it up with water.